Hyderabad needs a new captain. 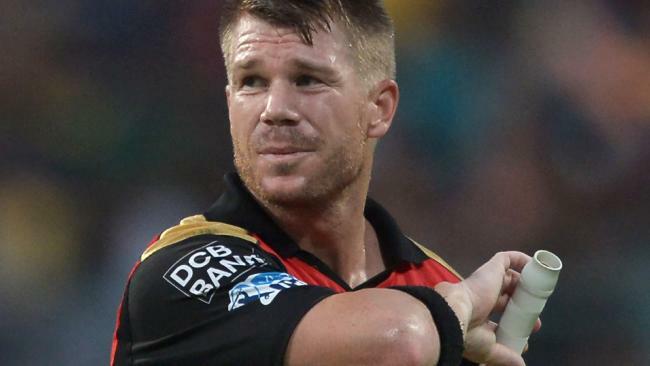 DUMPED Aussie vice-captain David Warner has stood down from the captaincy of IPL franchise Sunrisers Hyderabad. The 31-year-old was re-signed by his IPL franchise on an Australian record-equalling $2.4 million-per-year deal before the annual IPL player auction in January. It comes after Aussie captain Steve Smith had already announced he will be standing down from his role as captain of the Rajasthan Royals. Hyderabad chief executive K.Shanmugam said the franchise saw Warner's position as untenable after Cricket Australia's decision to send him home from South Africa having already slapped him with a notice of breaching the sporting body's code of conduct. Another blow to David Warner. "In light of recent events, David Warner has stepped down as captain of Sunrisers Hyderabad," Shanmugam said. "The new captain of the team will be announced shortly." Kiwi captain Kane Williamson is reportedly one of the favourites to replace Warner. 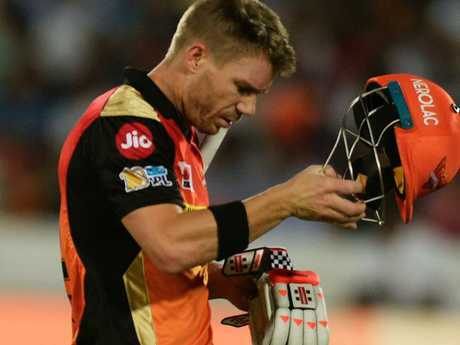 Warner's decision to stand down comes after an Indian cricket official issued a scary warning to Warner and Smith that they may be banned from playing in the IPL this season and may have to surrender their $2.4 million deals. A report on Wednesday cited an official from the Board of Control for Cricket in India stating the IPL will be forced to ban any Aussie players suspended by Cricket Australia. "To be honest, I don't understand what all the cry is about," the unidentified official told CricketNext. "If the Cricket Australia goes ahead and bans them, there is no way that the IPL franchises can accommodate them. Just like Andre Russell had to skip the IPL after he was caught violating doping clauses. "If CA says that they have decided to ban the two players, that is where it all ends for them as far as IPL 11 is concerned. The IPL actually has no role." It comes as former Australia captain Michael Clarke led a chorus of former players and officials to speak out with dissastisfaction over Cricket Australia's response to the ball-tampering scandal. The World Cup-winning skipper wants the public told the full story while the players union insists the Cricket Australia (CA) hierarchy be included in the review of the national team's culture. CA chief executive James Sutherland says an investigation found only three players - Smith, Warner and Cameron Bancroft - had prior knowledge of the plan. Sutherland said no others in the Australian camp, including coach Darren Lehmann, were involved. 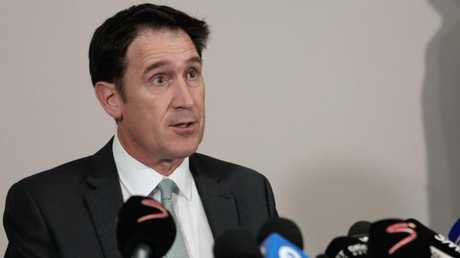 James Sutherland addresses the media in Johannesberg. That was hard to believe for many, including former high-profile players. "Too many reputations on the line for the full story not to come out. Cape Town change room is a very small place," Clarke said on Wednesday. "The truth, the full story, accountability and leadership, until the public gets this, Australian cricket is in deep s***." 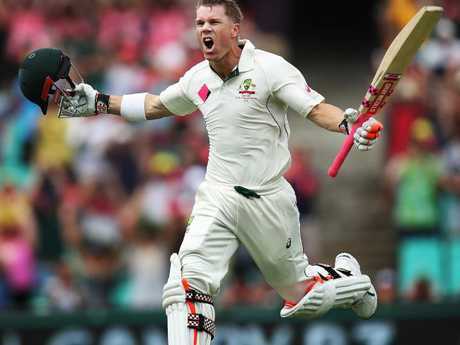 England great Bob Willis cautioned CA not to overreact and suspend Warner, Smith and "the lame duck" Bancroft for lengthy periods. "I hope they will consider the future of Australian cricket and these cricketers when they hand out these penalties," he said. David Warner’s life has changed considerably since his innings in the 2018 Sydney Test. Australian Cricketers' Association president Greg Dyer took a swipe at the national governing body, saying it must be held accountable for the team's culture. "This assessment must include all contributing parties to this culture, players, coaches and administrators, programs and systems, behaviours and accountabilities," he said. Indian Premier League founder Lahit Modi, who was banned from cricket in 2014 for misconduct, called for Sutherland to leave the post he's occupied for 17 years. "Sad but the snake on top needs to go. We made that happen in India. 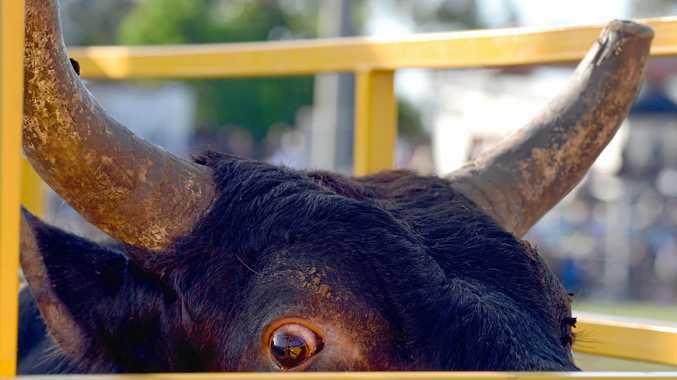 Let's see if (CA) has guts," he said. But former Australia Test player Merv Hughes said he had no reason to question CA's response. "James Sutherland is not going to go in there and tell lies. He's going to go in there and say what he's been told," Hughes said. With Smith, Warner and Bancroft sent home from South Africa, Tim Paine has been named captain and will lead the team in the fourth Test starting in Johannesburg on Friday.